For this week's Frugal Round-up I'm excited to share two clever DIY projects. 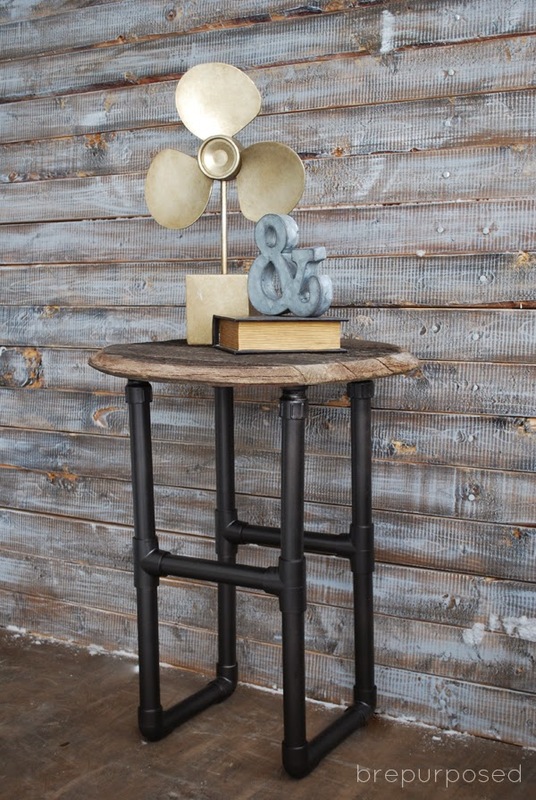 First up, Bre Purposed shared this darling PVC pipe industrial-style table. It's so cute! 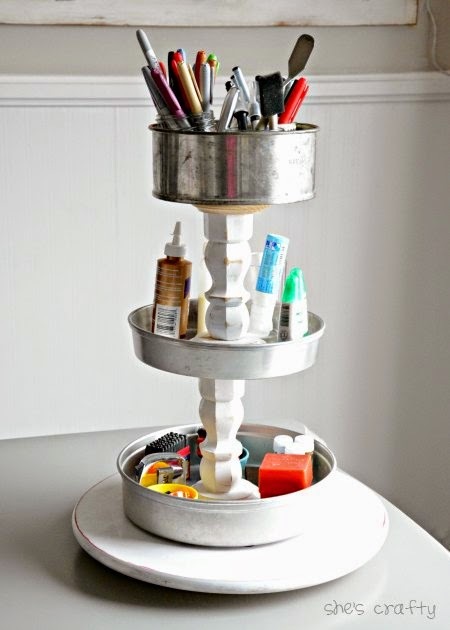 I'm also loving this fun craft-supply storage tower shared by She's Crafty. Get this! It's made out of old pans and pre-formed table legs. Thank you Wendy for Frugal Friday. Always a pleasure to join in. Have a good week. Yay! What a fun surprise to come to your blog this morning and see my project featured! Thank you soooo much! !